On this year's mild Christmas day, we went to the garden to see its autumny (even though it was winter) condition. 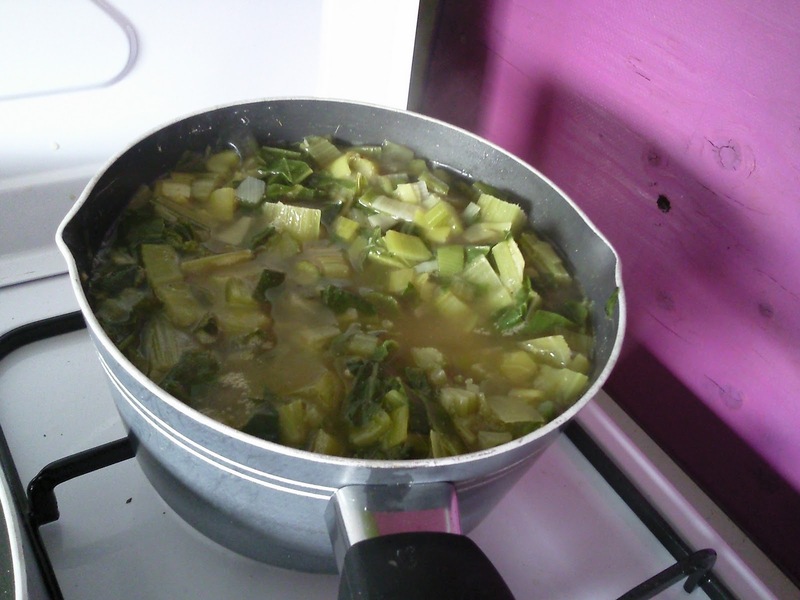 We warmed ourselves with a nice cup of soup, made from the remaining vegetables in the garden. These were spinach beets, leeks, celery and some herbs. The spinach beets have a very explicit taste, somewhere between earthy beets and the freshness of spinach (indeed, as the name suggests). These were accentuated by the grandma-soupy taste of celery and leeks. In the meantime, the last preparations were made for the winter. 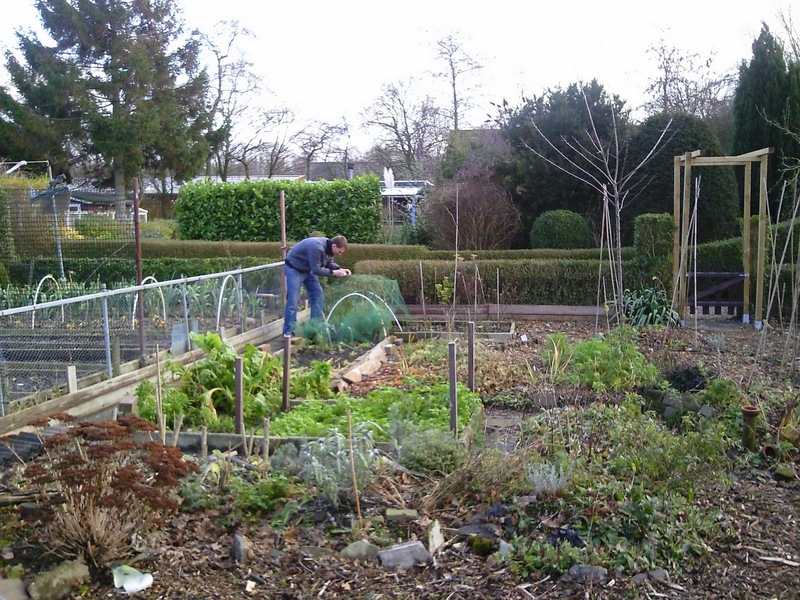 We covered the garden with shreds to protect the soil for the coming months (also known as mulching). Recipe - Here is what we did: bake some leeks so the flavours will be released. Put some pimento or other spices with it. Then put the vegetables (approximately 50/50 leek and spinach beets, and three pieces of celery) in a pan with hot water and add lemon thyme, laurel and whatever you like. Don't forget to rinse the baking pan and add the remaining flavours to the soup as well! Let it cook for some minutes corresponding to the softness or crispiness of your taste. A perfect winter soup!